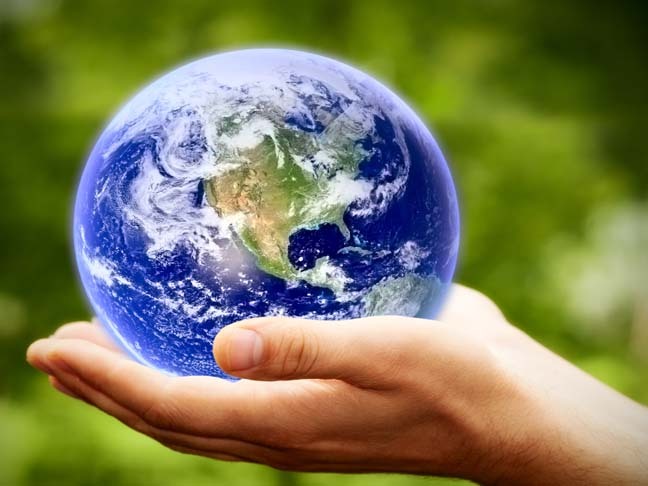 On April 22 people around the globe will celebrate Earth Day. Together we will find ways to protect the earth so it’s around for generations to come. If you are one of the billions of people planning to celebrate Earth Day there are a few ways you can lend a hand. The most important thing to take away from the festivities is that the celebration doesn’t stop here-hopefully our Earth Day celebration will continue every day. Head over to the Earth Day Network to register your local Earth Day event or to find an event close to your home. See how far you can walk on Earth Day and every day! If walking isn’t realistic, opt for public transportation. The planet will thank you for the reduction in emissions. Head over to A Billion Acts of Green and pledge to do something green. Maybe you’ll decide to save a tree or two and switch your paper bills over to online statements. Or perhaps you’ll pledge to use reusable products in your lunch box. Each year, my family plants at least one new tree either near our house or through Treenex, which plants a tree in a forest each time you purchase a greeting card from their site. As trees grow they help stop global warming by removing carbon dioxide from the air, storing carbon within the tree and the surrounding soil, and releasing oxygen into the atmosphere. Check out companies that promote Earth Day and help create awareness around the need to protect our planet. This Earth Day (and every day!) make an effort to support those companies and commend their extra efforts. Looking for more ways to celebrate nature?